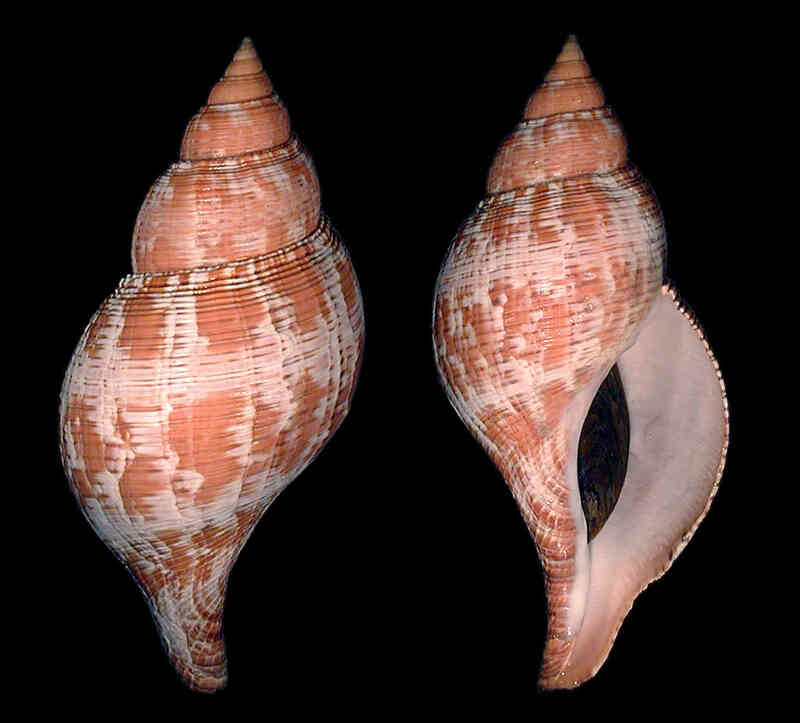 Shell size to 20 cm; shell fusiform with about nine rounded whorls. Surface smooth, except for very fine growth lines. Outer lip thin, with fine denticles on inner edge. 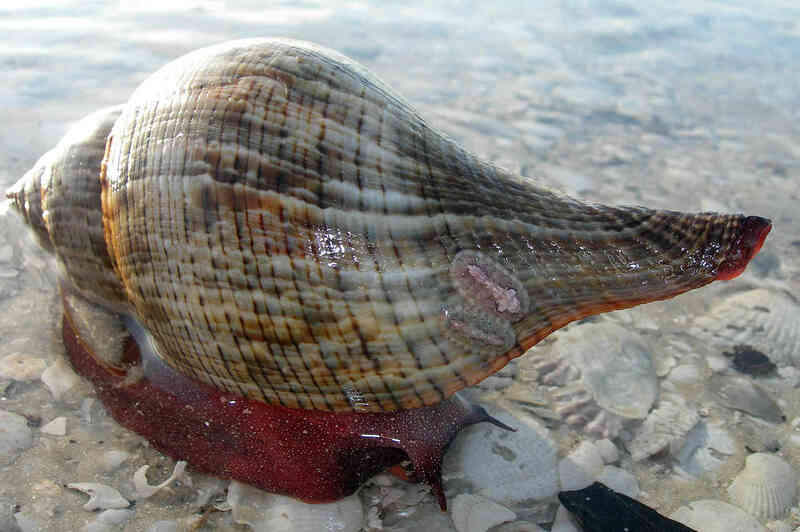 Operculum thick, heavy. Color extremely variable, cream, light-brown, to reddish orange with irregular blotches of darker brown, white, or cream. Brown spiral lines present. Living animal is bright-orange, reddish, or darker red. On seagrass bottoms and sand flats. 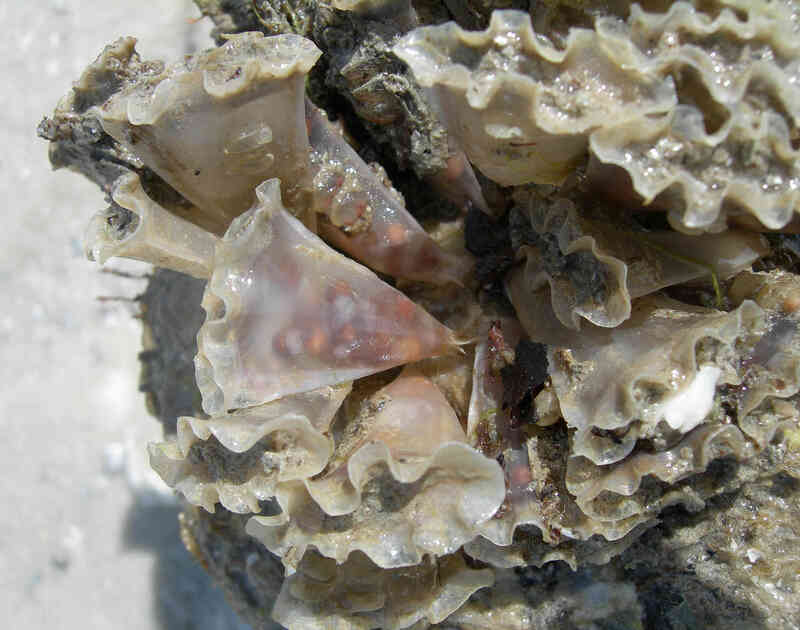 The live animal and the egg cases detail photos were taken by Amy Tripp near Marco Island. 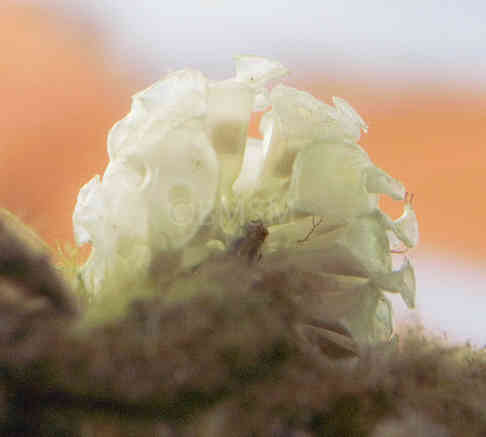 The two chitons on that shell are Chaetopleura apiculata.